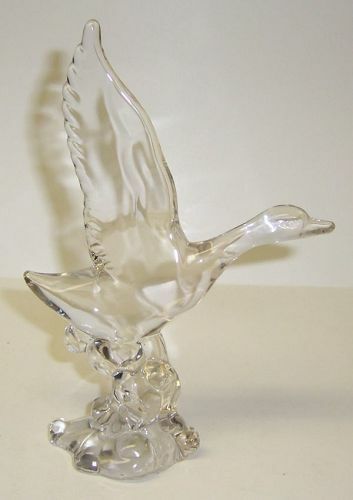 This is a really great crystal clear Wings Up Mallard Duck made by A. H. Heisey and Company from 1947 to 1955. This Mallard Duck measures 6 3/4 inches high X 4 3/4 inches wide. It is signed on the right side of the base approximately 1 inch up from the bottom. The H in Diamond is faint, but it is there. This Mallard is in very good condition with no chips or cracks. We guarantee items to be as described. THANK YOU.